John Seely Brown will give the keynote address at RIT’s annual commencement. 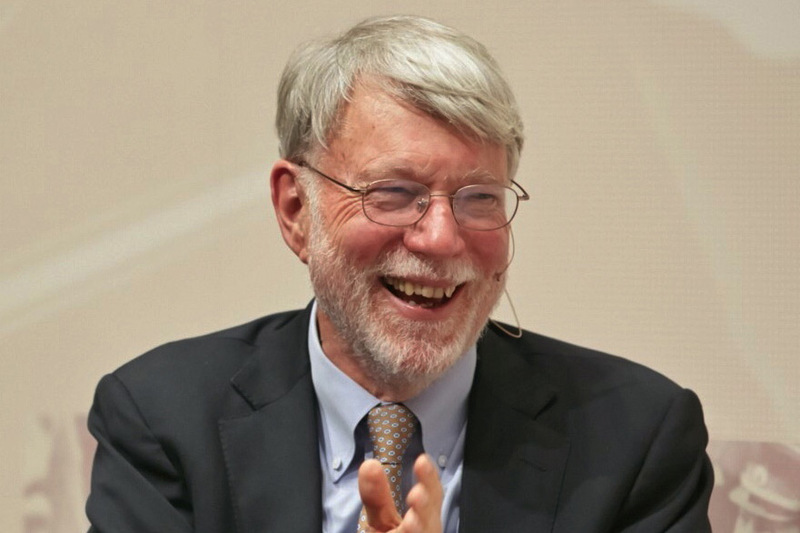 John Seely Brown, former chief scientist of Xerox Corp. and director of the Xerox Palo Alto Research Center (PARC), will be the keynote speaker for Rochester Institute of Technology’s annual commencement celebration. Brown, known as JSB, will speak at the Academic Convocation, set for 10 a.m. Friday, May 10, in the Gordon Field House and Activities Center. RIT President David Munson said the university is honored to have Brown addressing its graduates. Brown, who describes himself as “a master integrator and instigator of productive friction who explores the whitespace between disciplines and builds bridges between disparate organizations and ideas,” served as head of PARC for more than two decades. Brown is currently a visiting scholar and adviser to the provost at the University of Southern California and the independent co-chairman of Deloitte’s Center for the Edge, a Silicon Valley initiative that helps senior executives understand and use opportunities that emerge from the intersections of business and technology. He is a co-founder of the Institute for Research on Learning, and his personal research interests include new approaches to learning, digital youth culture, digital media, and the application of technology to accelerate deep learning within and across organizational boundaries. A member of the American Academy of Arts and Sciences, the National Academy of Education, and a Fellow of the American Association for Artificial Intelligence, he serves on numerous private and public boards of directors, including Amazon, and has published well over 100 papers in scientific journals and written nine books. He holds a BA in mathematics and physics from Brown University, a Ph.D. in computer and communication sciences from the University of Michigan, and 10 honorary doctorate degrees in four fields: science, design, public policy and humane letters. At the Academic Convocation, Munson will confer degrees upon some 3,500 undergraduate and graduate students. The event kicks off RIT’s two-day commencement celebration. For more information, visit the RIT commencement page on the university’s website.